The “buy local” food movement has grown in recent years, and so has awareness of the benefits of eating seasonally. However, those wishing to add a hit of fresh superfoods to their diet do not have to compromise on buying local with exotic or out of season produce, which is often expensive and may have travelled thousands of kilometres. Many traditional autumn favorites – or spring and summer for those of us in the Southern hemisphere – have superfood status that is much deserving of recognition. With dozens of varieties available, the humble apple has long been a staple. The apple’s reputation as an effective doctor-repellent (an apple a day keeps the doctor away) is indeed true, with the consumption of at least one apple a day being associated with a lower risk of developing lung and colon cancers, cardiovascular disease, diabetes, asthma, and pulmonary dysfunction. Higher doses of pectin, which is found in apples, have even been shown to reduce levels of the radioactive isotope Cesium-137 in the organs of children affected by the Chernobyl incident(2). Besides pectin, the apple’s ability to protect against degenerative diseases and aging are also attributed to the presence of vitamin C and various polyphenols. This tart little fruit is not only associated with Thanksgiving in North America, but is also widely known for its ability to prevent the recurrence of urinary tract infections. In addition, research has found that daily consumption of cranberry juice protects against cardiovascular disease by preventing the oxidation of LDL cholesterol and reducing platelet aggregation. Cranberry juice also improves vascular function in people with coronary heart disease, reducing vascular stiffness. Check out other health benefits of cranberries here. Kale is one of the most popular superfoods, due to its high vitamin and mineral content, as well as containing over 20 phenolic compounds. In comparison with the poor availability of calcium in spinach, calcium from kale has excellent absorbability. Kale has also been shown to reduce glaucoma risk, improve blood lipid profiles and may promote detoxification and reduce prostate cancer risk. A root vegetable with a long storage life, turnips and turnip greens are rich in many nutrients such as fibre and vitamin K, providing 662% of the US recommended intake of vitamin K per cup. Studies have shown that vitamin K has the ability to protect against fractures independently of bone mineral density, and protects against coronary heart disease. Also, fibre is known to help prevent and treat digestive conditions such as constipation and diverticular disease, benefits cardiovascular health and may even help prevent diabetes. Cherries are one of the many fruits now coming into season here in Australia. These contain the antioxidant compounds known as anthocyanins, which also have anti-inflammatory properties. While this research was in vitro, multiple human studies have shown that cherries, both sweet and tart, do indeed have antioxidant and anti-inflammatory properties, and may prevent gout attacks. Here are 5 other health benefits of cherries. Another fruit that is generally in season during the Australian summer, blueberries are also rich in anthocyanins. Research has found that daily consumption of this fruit increases natural killer cell counts, as well as reducing oxidative stress and inflammation. What’s more, the antioxidant properties of blueberries were reflected in other research involving 93,000 women. It was found that 3 or more servings of blueberries each week were found to reduce the risk of heart attack in women by 1/3. Botanically a dry fruit known as an achene, strawberries are yet another Australian summer fruit. 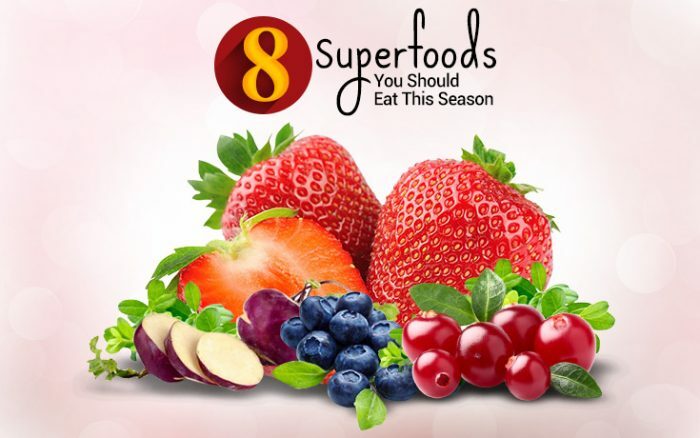 These so-called “berries” have been shown to protect LDL cholesterol against oxidative damage, as well as lowering LDL cholesterol levels, thereby protecting against atherosclerosis. Strawberries may also help prevent cancer – though organically grown strawberries have stronger cancer-fighting properties than strawberries grown conventionally. Native to India, the mango is one of the most popular summer fruits in Australia. Mangoes are high in vitamin C, vitamin E, and carotenoids Together these compounds can provide protection against both water and fat-soluble free radicals. In fact, the juice has often been used as a restorative tonic and a treatment for heat stroke. The fruit may also harness anticancer, cardiotonic, anti-inflammatory, hepatoprotective, gastroprotective, anti-bone resorption and immunomodulatory abilities. 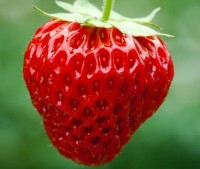 Strawberries more than 80% are GMO’s & papayas, and most apples etc.. SO BUY ORGANIC.